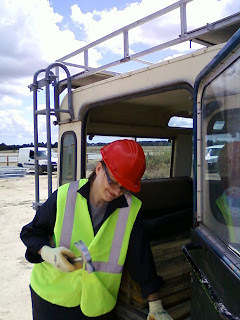 Although the recent installation work is done, so much clearing up needs to be completed on the site. All the cabins, building materials, fuel tank, water bowser, dismantled fencing and plant and equipment need to be removed from the site. 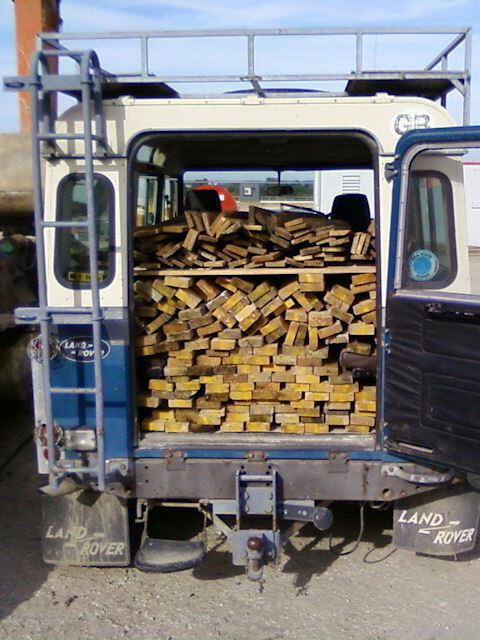 Caption 1 : Izabela Bukowska packs the Land Rover with another load of dismantled packing timber. 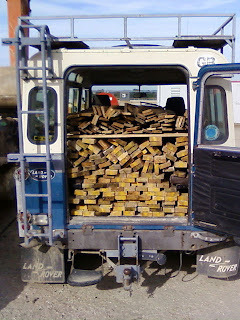 Caption 2 : Another load is ready.